Monument Men (also know as Monument Officers) were a group of historians, architects, artists, archaeologists and archivists that helped preserve artwork in WW2. They tried to warn Generals and Coronals where religious sites, monuments, and artwork was in order to not bomb those sights. This video is a biography of Harry Ettlinger, a WW2 veteran that served as a Monument Man. Without people serving as Monument Men, the world today wouldn't have many religious and historical pieces of art and places of worship. During the Holocaust, art was the last thing on most soldier's minds but these people saved places and things that the world depends on today to understand our long ago history, some pieces dating back to biblical times. It shows that even during such a dark period of history, there were still people who cared about beauty and beautiful things and wanted to preserve it for future generations. 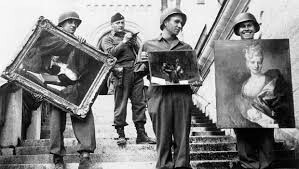 Monument Men didn't just help keep artwork and other historical places from being destroyed, they also helped "recover" (steal back) artwork stolen for Nazis' personal collections and, in some cases, Hitler's private art collection. 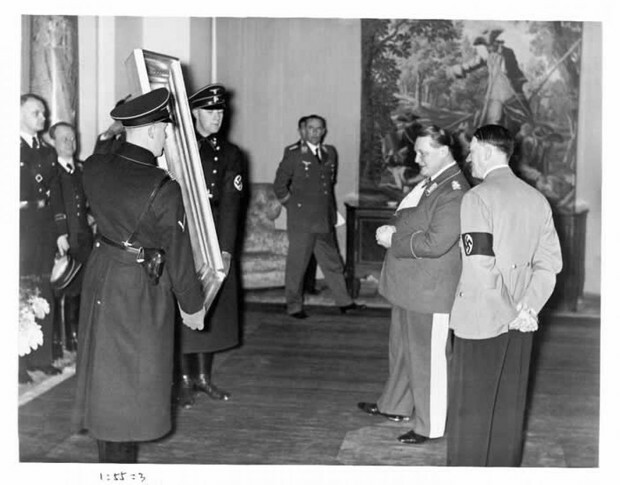 Hitler looted and unmorally aqquired most of his artwork. Sadly, the pieces Nazis simply did not like or religious pieces they did not agree with were destroyed. This is a chart explaing the "unpurity" of the blood when Germans and Jewish people were mixed, and at the bottom it expalins the so called dangers of the Jewish community. This quote connects Anne Frank and monument men because they both preserved history and beauty for future generations.